For over 20 years, Elite Fitness™ has been New Zealand’s largest supplier of fitness equipment. Take your WODs to the next level with Xtreme Elite, our own range of quality strength and conditioning products for functional training, weightlifting and CrossFit®. 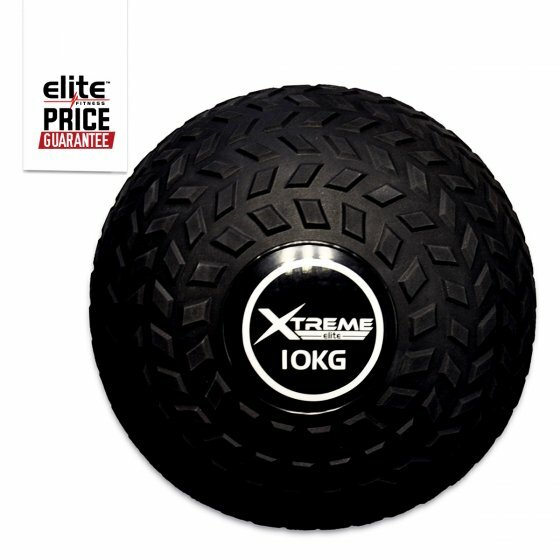 The Xtreme Elite Slam Ball is a great conditioning tool for all fitness levels that works the entire body with explosive, functional training movements. Also known as 'dead balls', slam balls feature a dead-bounce and don't roll away - they'll be ready and waiting for your next move! The hard shell, made of thick rubber, is designed to be used against rubber surfaces in high-velocity impact exercises such as throwing. Advantages of using a slam ball over free weights include flexibility and a greater range of dynamic exercises which increase cardiovascular systems, muscle mass and hand-eye coordination.